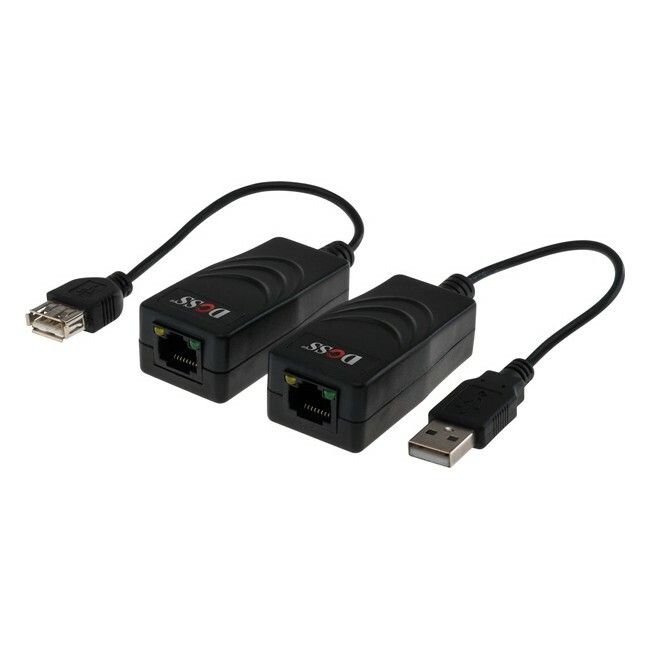 The USBCAT100 can extend your USB devices or Hub up to 100m, overcoming the typical 5m USB cable limitation. It’s comprised of a local transmitter and a remote receiver, which are connected by a standard CAT5 cable. Great for installing a webcam with your flat screen TV while HTPC is stored away in a discreet location, or for locating a USB printer on the other side of the room in a home office!